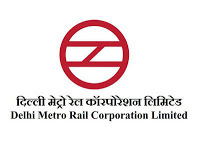 DMRC Jobs Recruitment Notification 2018.Delhi Metro Rail Corporation Limited inviting applications for the positions of Consultant PA jobs.Interested and Eligible candidates can apply for the positions. Last Date for Submission of Application is on October 04th, 2018..
Total number of vacancies to be filled in DMRC is 20. Retired personal/ secretary/ personal assistants can apply for this job notification. In between 58 to 62 year candidates can apply for this DMRC recruitment. Mode of applying for DMRC recruitment is through offline mode. 04th October 2018 is the last date for contenders to submit applications. http://www.delhimetrorail.com is the link to download application form and send to below given address. Chief General Manager (HR) Delhi Metro Rail Corporation Ltd Metro Bhawan, Fire Brigade Lane, Barakhamba Road, New Delhi.